NMR has become the most diverse spectroscopic tool available to date in biomedical research. It is now routinely used to study biomolecular structure and dynamics particularly as a result of recent developments of a cascade of highly sophisticated multidimensional NMR pulse sequences, and of advances in genetic engineering to produce biomolecules, uniformly or selectively enriched with 13C, 15N and 2H. • Most refined multidimensional pulse sequences including the basic aspects are covered by leading NMR spectroscopists. 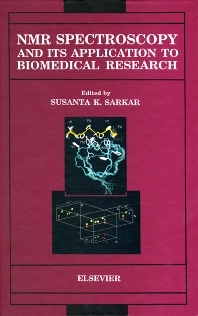 The book will be useful to NMR spectroscopists, biochemists, and to molecular biologists interested in the use of NMR techniques for solving biological problems. Two-dimensional NMR spectroscopy: A graphical, top-down description (W.M. Westler). 2. Multidimensional NMR of macromolecules (L. Mueller, N.V. Kumar). 3. Preparation of 2H, 13C and 15N isotopically-enriched proteins for NMR spectroscopic investigations (B. Stockman). 4. Protein structure determination from NMR data (P.L. Weber). 5. Protein dynamics as studied by solution NMR techniques (L.K. Nicholson, L.E. Kay, D.A. Torchia). 6. Nucleic acid structure and dynamics from NMR (D.E. Wemmer). 7. Carbohydrate structure and dynamics from NMR (L. Lerner). 8. Solid state NMR and its applications to biomedical research (A. Simmons, S.K. Sarkar, L.W. Jelinski). @qu:This is a real "how-to" book on the theory, implementation and interpretation of modern multidimensional NMR techniques. It is an ideal book for those who wish to know more about the subject, or for those interested in entering a new research area. @source:ASLIB Book Guide @qu:The text presents an excellent introduction to the application of modern multidimensional NMR methods for the determination of the solution structure of biomolecules. The list of contributors reads like a Who's Who of biomedical NMR spectroscopists.